The Synodal Commission for Ecumenism aims at promoting healthy relations between different Churches of St. Thomas Christian traditions. It may function in collaboration with the KCBC Ecumenical Commission wherever it is expedient. Ecumenical gatherings and inter religious meetings were convened in the parishes and eparchial centers;.. The Synodal Commission for Ecumenism is part of the Major Archiepiscopal Curia of the Syro-Malabar Church at Mount St. Thomas. It is governed by a Board of Directors and headed by the Executive Director. The Catholic Church especially the Syro-Malabar Church has a privileged position to give leadership to ecumenical activities. If our parish priests are well-informed and rightly oriented they can animate programmes to promote ecumenism and inter-religious harmony on the local level. We shall also inculcate a genuine ecumenical culture among our seminarians so that they will become confident to be actively involved in the ecumenical and inter-religious activities in future. So to give a better understanding of Ecumenism among the priests importance must be given to the course on Ecumenism in the formation period. Moreover the need of ecumenical formation was emphasised by the gathering. It should be extended to the catechetical formation of the Catholic and non- Catholic Youth and Adults. 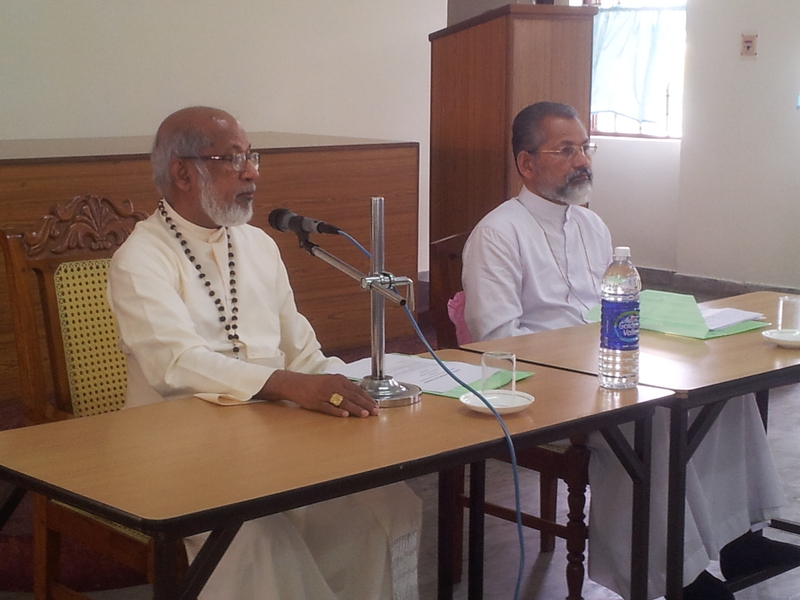 The meeting was enriched by the presence of the professors of Ecumenism at Mangalapuzha and Vadavathoor seminaries and the secretary of the KCBC commission for Dalogue and Ecumenism. The Week of Prayer for Christian Unity must be taken more seriously and be conducted at the parish level effectively. It also suggested the collaboration with other Churches and religious denominations to fight against social evils and to join hands for charitable activities. The need to prepare a handbook for the use of our priests, religious and seminarians containing proper guidance and information regarding Ecumenism and Inter-religious Dialogue based on the Vatican and Post Vatican teachings and other directives was also a suggestion of the meeting. It will also include the texts of the agreements reached upon between the Churches as a result of the non-official and official Ecumenical dialogues. Besides these, Ecumenical activities such as “Nilackal Ecumenical Committee”, Ecumenical Christmas gatherings, Ecumenical Bible conventions, Unity Octave Prayers etc. have been going on regularly since long. The text of the Unity Octave prayer service based on the text given by WCC and Pontifical Council for promoting Christian Unity is used to be prepared and circulated under the auspices of the Synodal Commission for Ecumenism.